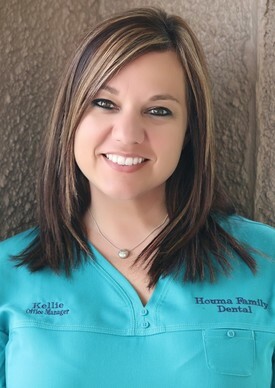 Kellie P. is the Office Manager and CFO at Houma Family Dental. She has over 20 years of accounting and clerical experience. 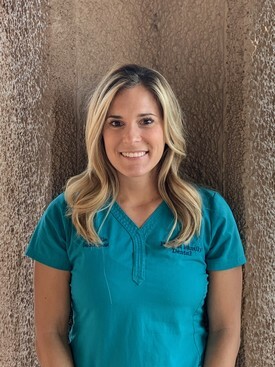 Kellie has been working with Dr. Morgan for over 15 years. She is married to her high school sweetheart, Mike, and they have 2 sons together. Kellie loves meeting new people and spending time with family and friends. 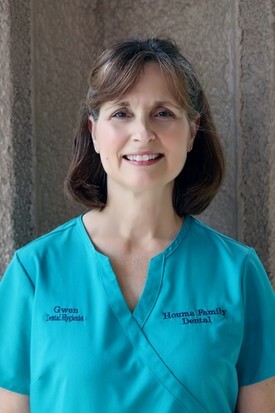 Kim N. has been a Dental Hygienist with Houma Family Dental since 2007. She graduated from LSU School of Dentistry with her Bachelor's in Dental Hygiene in 2003. She is married with 4 children. In her spare time, Kim and her husband enjoy traveling with their children. Gwen B. grew up in Jefferson Parish and has been a resident of Destrehan, LA for the past 23 years. She graduated from LSU School of Dentistry with a Bachelor of Science degree in Dental Hygiene. She's married with six children and one grandson and started with this dental practice in 1983. Gwen enjoys spending time with her family and working with the Respect Life committee in her church parish. 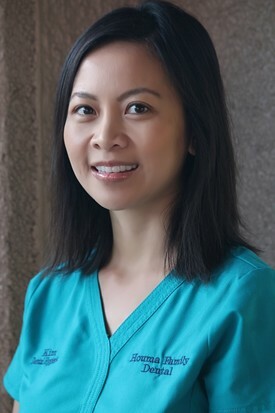 She loves working with her patients and guiding them on how to keep their teeth for a lifetime! 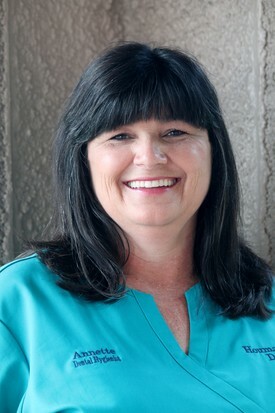 Annette T. graduated from LSU in 1991 with a Bachelor of Science in Dental Hygiene. 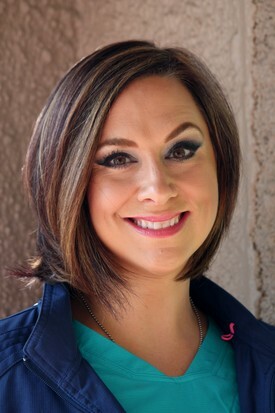 She is a registered Dental Hygienist with 25 years of experience. She is married with one son. She loves working with children and helping the elderly. Annette is thorough in her approach to oral hygiene. 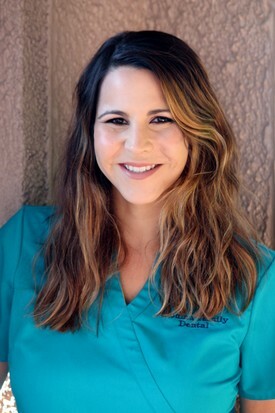 She wants to make sure every patient leaves with a better understanding of the importance of regular cleanings. She enjoys traveling, camping, casinos, LSU football, and shopping. 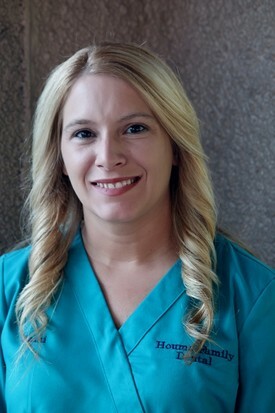 Misty G. is a Registered Dental Hygienist and a graduate of LSU school of Dentistry. She has been providing exceptional cleaning to patients since 1999. Misty was born and raised in South Louisiana, which is where she gets her southern hospitality. There is no doubt you will feel comfortable in her care. She is passionate and meticulous when it comes to her work. 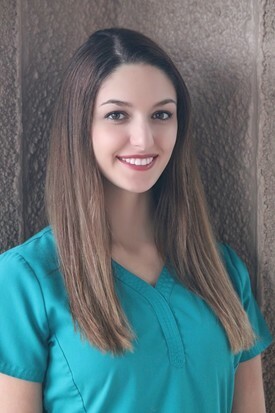 Her attention to detail, in all aspects, is what makes her an excellent hygienist. Lindsey T. is a Houma native and graduate of H. L. Bourgeois High School. She graduated from the University of Louisiana at Monroe in 2008 where she earned her Bachelor of Science degree in Dental Hygiene. 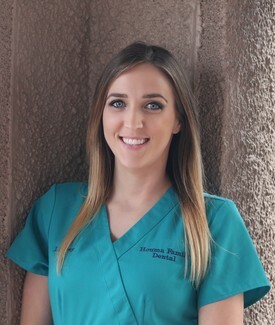 Lindsey’s goal as a Dental Hygienist is to educate her patients on optimal oral health and giving them the tools they need to achieve a healthier smile. 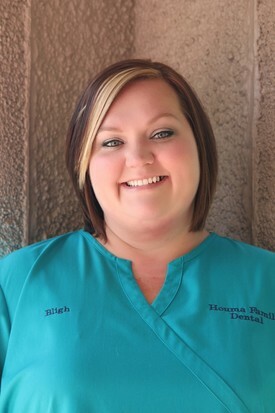 She’s a big believer in making patients feel comfortable and providing them with positive dental experiences. When Lindsey is not in the office, she enjoys traveling and spending time with her family. She and her husband have been married for 5 years and are proud parents of two beautiful little girls, Finley and Juliette. Maddie C. is from Houma and went to college in Florida where she played softball. She then graduated from Dental Hygiene school in Meridian, Mississippi. Maddie loves to travel and most importantly exercise! In her spare time, Maddie coaches Cross fit and enjoys long distance running. She also enjoys spending time with her 4 legged child Rolex. Saadi R. is Dr. Cascio and Dr. Marchand’s secretary and handles their billing. She has been in the dental field since 2007. She is the mother of two boys and another on the way. She enjoys helping others, the outdoors, and spending time with family and friends. 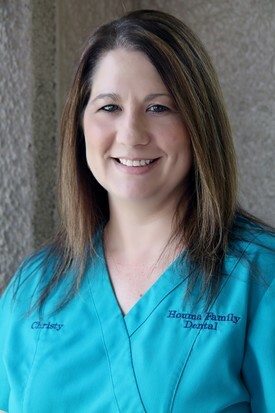 Christy B. is a scheduling Coordinator and has been working at Houma Family Dental since 2009. Christy and her husband have two children one daughter and one son. Christy enjoys reading and spending time with family. Bligh D. has been with the office since 2011. 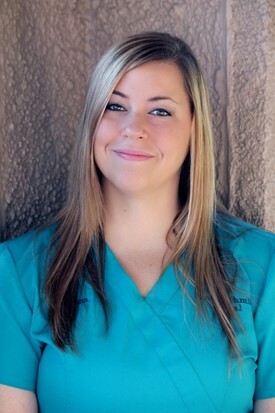 She attended Unitech Training Academy’s Dental Assistant program prior to starting as an assistant. She is our Insurance Verification Coordinator. Outside of work she is an avid crafter and enjoys spending time with family. 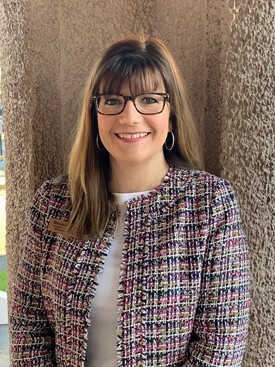 Jody D. is our insurance coordinator. She has always been in customer service. She is married and has 2 sons and a grandson. Jody loves helping people, hunting, and fishing. Rhonda C. graduated from South Terrebonne High School in 1977. She is EDDA certified. Rhonda was born and raised in Houma. She has 2 children and 5 grandchildren. . She enjoys spending her free time outdoors, fishing and gardening. She loves her job because she gets to visit with the patients. Rhonda is very much a people person. She looks forward to visiting with you real soon. 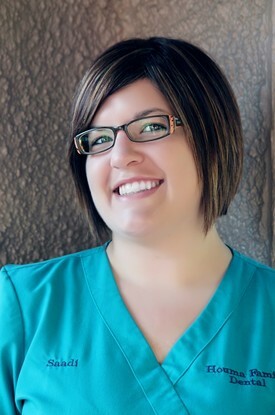 Jami D. is one of our EDDA certified Dental Assistants and has been in the dental field since 2007. She went to Terrebonne High School and has always lived in Houma. Jami is married with one son. She loves hanging out with friends, family and watching her son play baseball. 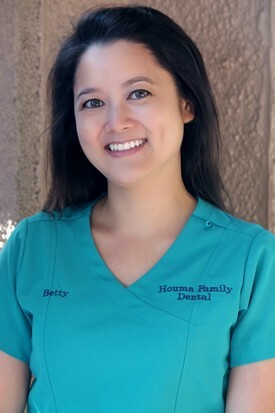 Betty N. has been with Houma Family Dental team since 2010. She was born and raised in Morgan City. Betty attended college at LSU and later was certified as a Dental Assistant at Louisiana Dental Assisting in Zachary. She enjoys spending quality time with her husband and 2 boys. Her most recent hobbies include being in the beautiful outdoors, raising her chicks, and working in her little garden. 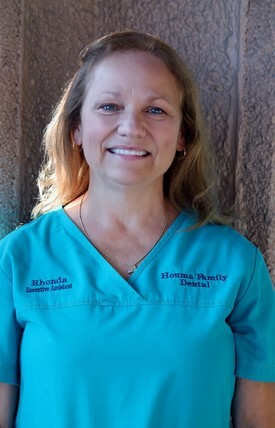 Dianna D. is one of our Dental Secretaries, she handles Dr. Morgan, Dr. Franck and Dr. Daigle's accounts. 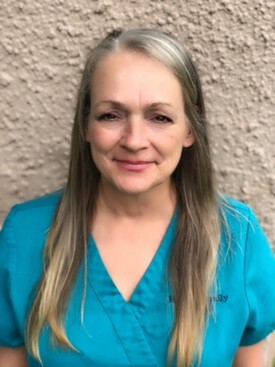 Dianna has been with Houma Family Dental since 2014. She is married with one son. She loves to stay active and play with her dog in her spare time. 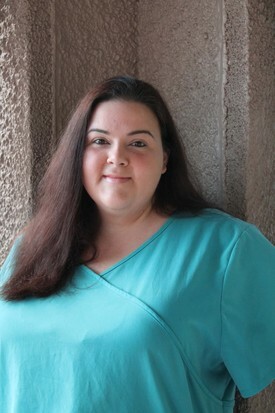 Laura A. has been a file clerk at Houma Family Dental since 2014. She graduated from South Terrebonne High School in 2015 and married her high school sweetheart later that year. She loves to ride horses, traveling with her family, and being outdoors. Lindsey D. is a resident of Houma, She graduated from HLB High School in 2007. She then furthered her education in dental assisting at Unitech in 2016. Lindsey has a daughter and loves to spend her free time fishing and going to the beach. 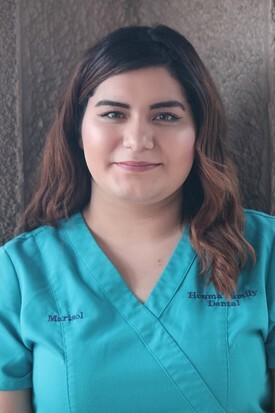 Marisol C. has been with Houma Family Dental since June of 2016. She graduated from Ellender Memorial High School, then pursued an education in Dental assisting at Unitech training academy. Marisol speaks fluent Spanish and is a great translator to those in need. In her spare time she enjoys shopping and spending time with friends and family. Heaven L. completed her Dental Assisting training at Accelerated dental academy. She is one of our new team members and loves to learn new things. Heaven is married with 2 beautiful kids. 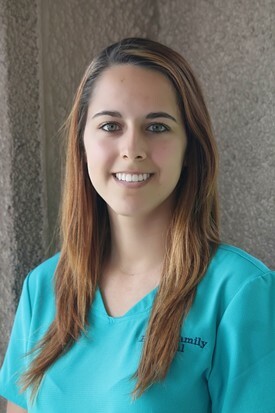 Angelle O. went to Accelerated Dental Academy and is one of our EDDA certified Dental Assistants. She is the mother of a baby girl. 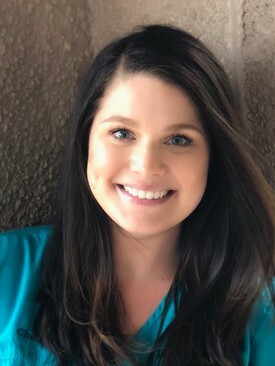 Chelsey P. has been with our office since November 2016. She has one daughter. Chelsey is very outgoing and loves to make people laugh. She enjoys spending time with her family and friends and is always ready to have a good time. 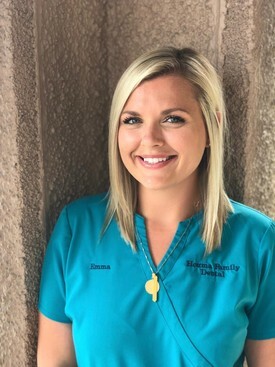 Emma C. has been with our office since June 2017 assisting Dr.Franck. In December 2018, she received a Bachelors Degree from Nicholls State University. Emma enjoys seeing our patients smile and spending time with her furry friend, Sylvester. and 17 grandchildren. She loves concerts, her animals, entertaining at home, and spending time with her family. 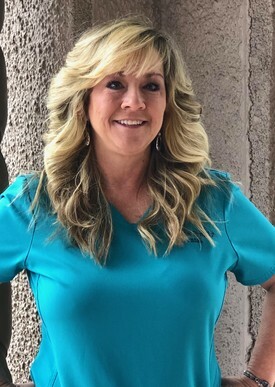 Casey M. joined our team in March 2018. She was born and raised in Houma, the mother of 2 a son and a daughter. In her spare time she loves making memories with family and friends. 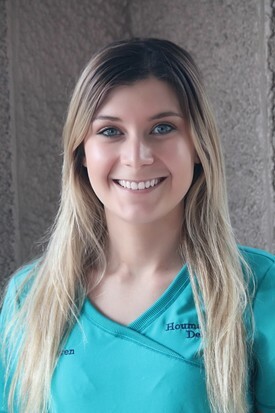 Brandie joined Houma Family Dental in March 2019. A native of New Orleans, she is an experienced admnistrator working in the higher education industry and nonprofit organizations. She enjoys team management, strategic planning and project implementation. She has both her Master of Education (M.Ed.) and Bachelor of Science degree in Human Resources from Nicholls State University. She is married to Thibodaux native, George T., and they have two "bayou babies" in school at Nicholls State University.